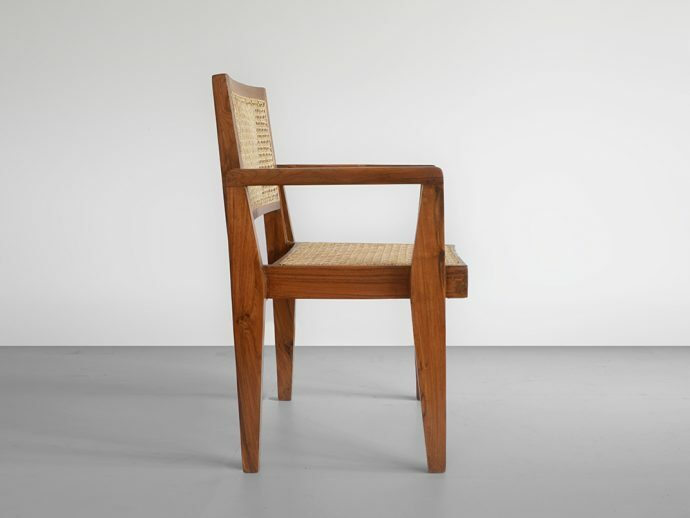 Chair used in residential and public buildings. 1955-1960. With nice patina and letters on the backside. 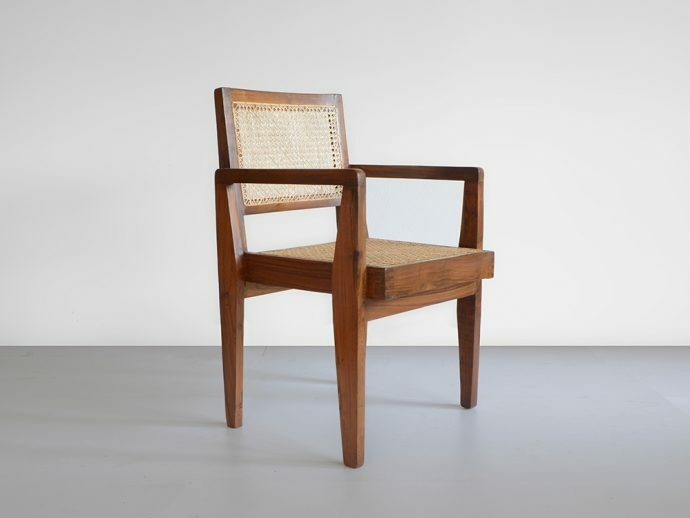 on request Pierre Jeanneret made that rare chair and designed it for Chandigarh. That impressiv piece is loved by Le Corbusier. So all furniture is great looking for us.